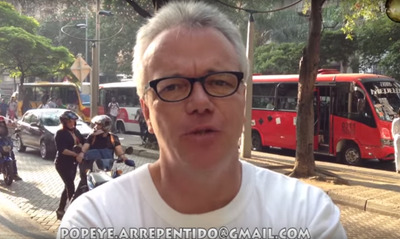 YouTube/Popeye ArrepentidoJhon Jairo Velásquez Vásquez, aka Popeye, in a video shot on the streets of Medellín, where he lives. Jhon Jairo Velásquez Vásquez was Pablo Escobar’s top hit man in the late 1980s and early 1990s, killing 300 people and orchestrating the deaths of hundreds more. But now, after more than 20 years in prison, “Popeye” has become a YouTube star, broadcasting his remorse and offering advice to more than 100,000 subscribers. Despite the many killings to which he is linked, including his confession to the Avianca Flight 203 bombing that killed more than 100 people, Velásquez was convicted for just one — the assassination of Luis Carlos Galán, a Colombian presidential candidate, in 1989. He was paroled from prison in 2014 and posted his first video in August 2015. Since then he’s posted more than 80 videos, garnering nearly 120,000 subscribers and almost 10 million views. 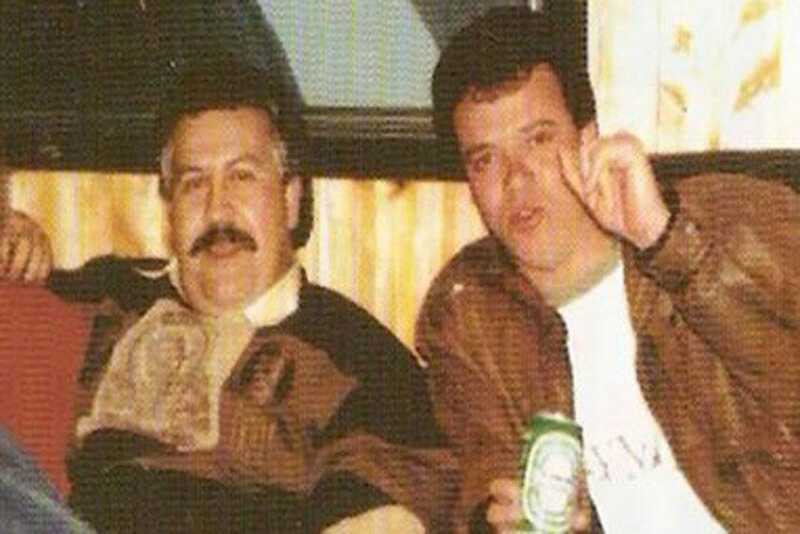 Screen grab‘Popeye’ Velásquez, right, with Pablo Escobar. 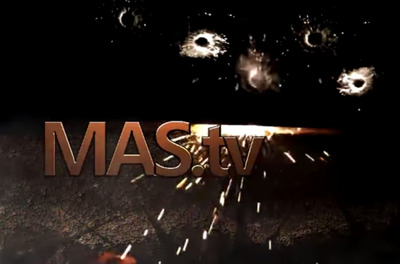 In his interactions with viewers, Velásquez taken responsibility for his crimes and expressed remorse for the damage they did. “It was the war that killed your brother, but I am not going to justify that. I am going to assume responsibility because your brother was defending a country, an institution, and we were murderers paid by the cartels,” he told the relative of one of his victims, according to The New York Times. “It’s important that we could meet so I can ask for your forgiveness face to face and accept my responsibility,” he said to the brother of a slain police officer, The Guardian notes. The content Velásquez posts would seem to belie his pronouncements of remorse, however. YouTube/Popeye ArrepentidoA screenshot of the opening sequence from one of ‘Popeye’ Velásquez’s videos. Videos often begin or end with a bullet cutting across the screen, and bullet holes appearing in the black background. His following — not as large as some YouTube stars — is enough to earn him “modest income,” and he is often greeted with enthusiasm by some viewers. “You have the personality to be able to tell the truth to the Colombian society.” one commenter wrote, according to The New York Times. “I love all of your statements because they are full of honesty and courage. Hugs,” said another. At times, he seems pleased with his new, legitimate notoriety. “We are conquering the world!” Velásquez wrote in a Facebook post that linked to a Washington Post story about his new YouTube channel. “It’s not about monetizing my life story but about telling the stories, the things that happened,” he told The New York Times in an interview. “I’ve been famous for 30 years. I only want to have an opinion because I am an activist,” he added, stating his opposition to the Colombian and Venezuelan governments and to Donald Trump for Trump’s campaign against Latinos. A family member of an Avianca Flight 2013 victim called Velásquez’s new campaign “a slap in the face” to his victims. One expert who spoke with The Times called him “an astute self-promoter,” and Velásquez — who has published two books about his time in Escobar’s service — has often shared his input about goings-on in the criminal underworld. Last year he said that Mexican kingpin Joaquín “El Chapo” Guzmán would not be caught alive (he was recaptured in January), compared Guzmán’s damage to Mexico to that of Escobar to Colombia, and described what drug lords like Guzmán and Escobar feared the most. He has also claimed that famed Colombian author Gabriel Garcia Marquez worked for Escobar, and that Guzmán paid as much as $50 million for his escape in July 2015. Despite his stated regret for his crimes and his desire to steer people away from a life of crime, Velásquez has offered mixed assessments of Escobar, whose ill-gotten wealth and megalomania led him to wage a vicious war against Colombian society. “Before I start I want to say that everything Pablo Emilio Escobar Gaviria did was bad. It’s important that new generations don’t get fixated on the figure of Pablo Escobar and even less on mine. We should not be a model for anyone. We are bandits,” he said in a video released in December 2015 for the 22nd anniversary of Escobar’s death.